Beginners welcome at any age, 4 & up. 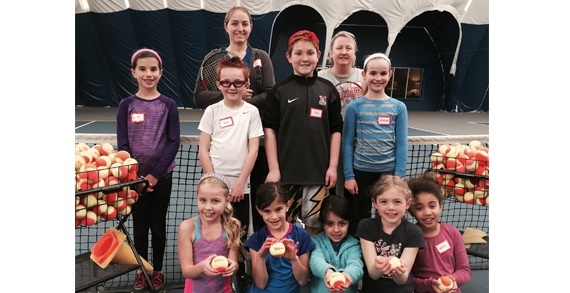 Olympic Indoor Tennis will match you with the right age and skill group to get started. 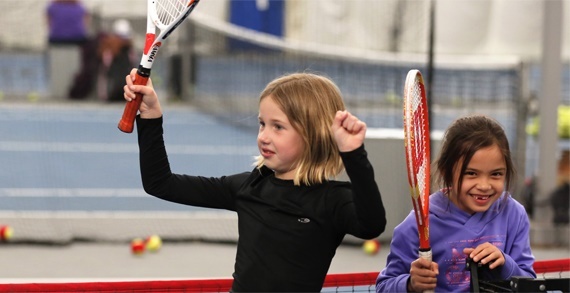 Kids receive quality instruction while having fun, and parents can watch or learn to play too. Olympic Indoor also has pickleball, the new sport sweeping the nation! Similar to tennis, pickleball is played on a smaller court with a plastic ball and a paddle instead of a racquet. Club membership is optional for most programming, babysitting services are offered by reservation while you play. Private lessons are available as well. Please call or stop by for more information. Have Fun. Stay Fit. Play Tennis!